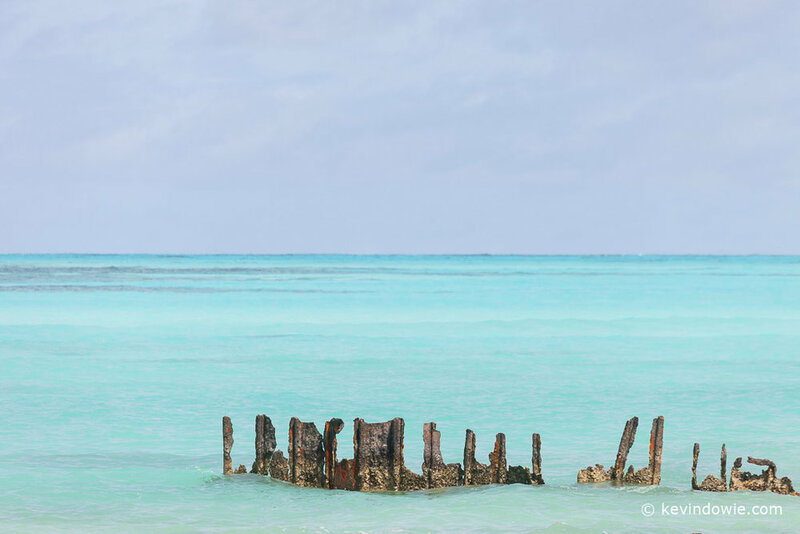 Midway Atoll is historically significant as the site of a pivotal air and sea battle during World War Two, some rusting relics from that era remain. 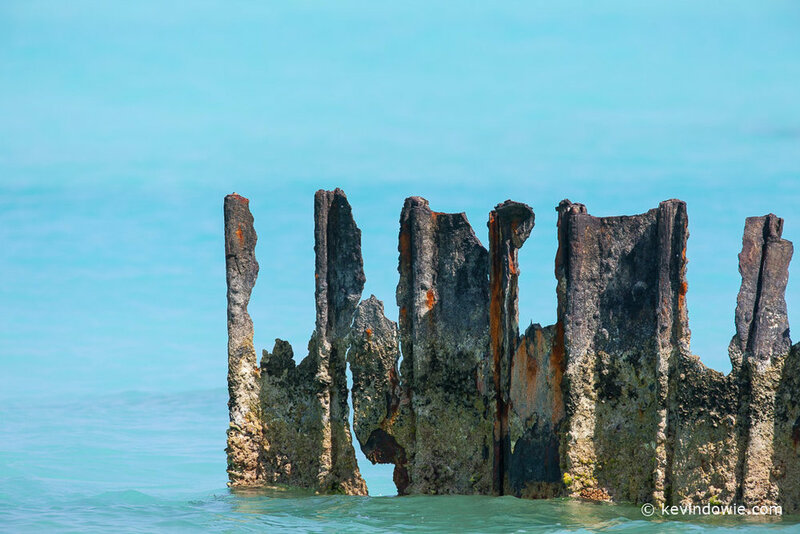 Steel supports for what were piers now rust in the sea water. 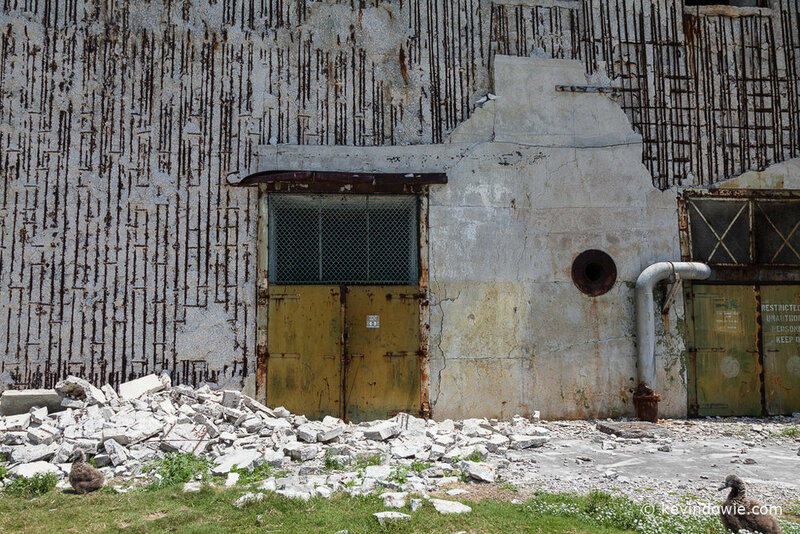 Abandoned bunker exterior, Midway Atoll. Concrete bunkers now crumble due to war time damage and faulty construction methods (they used seawater rather than precious fresh water when mixing the concrete, the salt has since leached out) revealing corroding steel reinforcing.